Akshay Kumar showed his anger by tweeting a video on Bangalore incident. Bollywood super star Akshay Kumar vented out his anger on Bengalore molestation case. He posted a video on his twitter handle today and expressed outrage. He said, “The Bangalore incident makes me feel we r evolving backwards, from humans to animals, rather beasts coz even animals are better! Truly shameful,” adding, “I am ashamed of calling myself human. I came back from a nice holyday and I saw this news on TV when I reached India, by watching it I don’t know what people have think but my blood is boiling”. “I have a daughter and, if I wouldn’t have a daughter, then also I would have said the same. If we cannot respect girls we should stop calling ourselves human"
He also lashed out on those who are justifying the incident by commenting on the girl’s short dress and their late night party, "Most ridiculous thing is people who justify the harassment a girl has gone through. These people often talk about a girl's short dress." He continued, "Have some shame people. It's not that the girl's dress is short, it's that these people have a very narrow mentality." Akshay gave a message in the video especially to girls saying, "Girls should secure themselves by learning some self-defense tricks. Girls don’t be petrified you can help yourselves and be alert". He added, "Girls, don't get bothered to what these people say. Next time they come and give some sick advice to you all, just ask them to mind their own business." 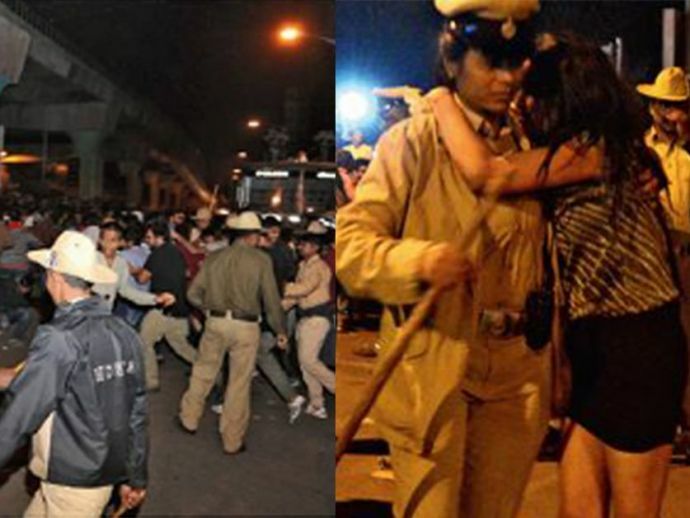 The whole incident took place when people came together to party and welcome the New Year on Saturday night. See what Akshay Kumar said!